If there's one outerwear item I can't get enough of, it's the trench coat. I already own six but that doesn't seem to hinder me from coveting more especially when it's as fabulous as this Kate Spade Topliner Trench. I adore the graphic look of the black buttons and piping and don't even get me started on the amazing Florence Broadhurst Japanese Floral print lining. Can I just have one of everything pictured above? Congratulations Sandy! I'll be emailing you about your prize. Don't fret if you didn't win. The kind folks at Harvey Prince are currently offering a free Ageless fragrance mini with the code sampleageless" and they're also running a 50% promotion on their first generation boxed Ageless 100 ml. bottle with the code "vintageageless". I have a sample of the scent which has notes of pink grapefruit, pomegranate, mango, jasmine, tuberose, ylang ylang and sandalwood and I can say it's very refreshing and delightful. wow now IM in love in taht trench!!!! love love!!! That trench coat is so pretty, very stylish. Nice bag too. 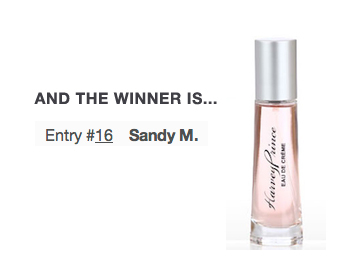 Congrats to Sandy for the fragrance. Yes, I'm agree with you..
We just can't get enough trench coat..
Six, wow! I love that one you have pictured. However, I would probably take it in black with a white outline, because I can't be trusted to wear that much white. Omg! The trench coat is so perfect! I absolutely love everything about it! Fabulous! ohhh congrats to Sandy!!! she is fab! and that trench coat!!!!! so beautiful, love the black lining and the way the shoes match the print lining. such a fab trench coat, now you make me want to get myself a similar one. i am madly in love with this look! Ack I'm with you - love this trench and the details are gorgeous! that trench is simply amazing. kate spade always makes me smile + congrats to sandy!! Love that trompde l'oeil raincoat! It's so cute. And congrats to Sandy! OOooooooo I also want everything pictured! I love the black trim on the coat, and the print inside! And the bag is so summery! Oh, that trench is perfect!...so chic! I loooooove this outfit! The trench, the dress, everything!!!! i have never owned a trench but that one is gorgeous. I also love the burberry trenches. however spending 1000+ on a trench is out of my budget range lol. SUCH a hot trench! Great for spring! Kate always gets it right...I am completely obsessed with all things black & white...it's always so chic! What's one more trench coat when you've already got six? :) Buy away! I wasn't a huge fan of Kate Spade handbags but her clothing line? LOVE it! I am liking this trenchcoat as well, I hope it goes on sale and we'll see it on you! Ooooo do you think you could find a cute mini version for Rena? That would look so fab on her! im pinning that! :) its amazing cute!! i really need to get myself a trench! Love this Kate spade one. Wow 6?!?! That's amazing! I think you need to add this one to your collection. It's fabulous! congrats to the winner! the trench is amazing! Wow great trench coat and purse :) Absolutely love kate spade! Amazing trench!!! I would so happy to have the same one. I will search for Kate Spade shop here in Korea. Ah to own that trench! Le sigh. omg i loooove that trench. the contrast piping is so unique!! I'm obsessed with that Trench, I already have 2, but none with such cool deets! All the picks are perfect and I do love a bit of coral! I seriously need to get myself a trench coat afar reading this post. I love the one you've selected, it will be Lucky Number 7! oooooh- i love this coat! the details make a statement on an otherwise classic trench coat and the orange bag complements it lovely. hope you're having a fabulous weekend my friend! Oh my word!! That trench is FABULOUS!!! Absolutely love it!! and the shoes, and the clutch... but the trench, is just... too great for words! Congratulations Sandy!!!!!!!! HAHAHA She's so deserving. Rowena, I love that trench. If you don't get anything else, I think it's something you'll always have. It's so cute and unique. Very nice touches to it. That trench is all sorts of fabulous! I've been resisting going into Kate Spade for fear of coming out with most of the store... I say make it number 7! Hope you had a fabulous weekend! First time visiting your blog....that is utterly divine! I love the entire look. Yay for Sandy...it couldn't have gone to a more delightful gal! It’s good to discover a web log every once in a while that isn’t the same old rehashed material.